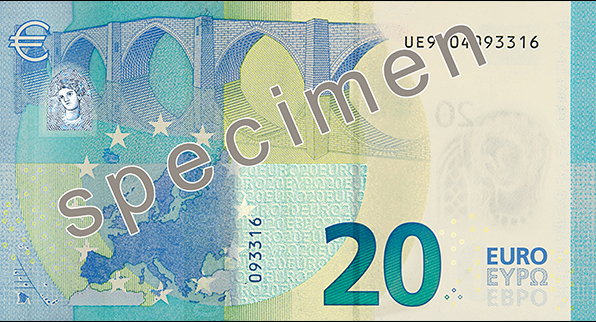 On 24 February 2015, the President of the European Central Bank (ECB) Mario Draghi, unveiled the new 20 Euro banknote at a press conference at the ECB's new headquarters in Frankfurt am Main, Germany. 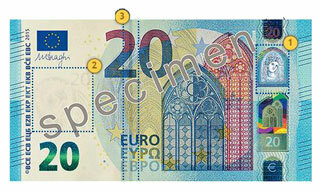 The new banknote is part of the new Europa series, named after a figure from Greek mythology. 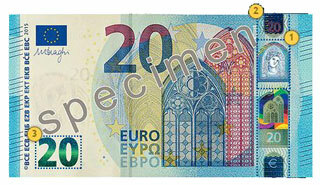 The design of the new €20 note has had a radical overhaul and should prove much more difficult to forge. 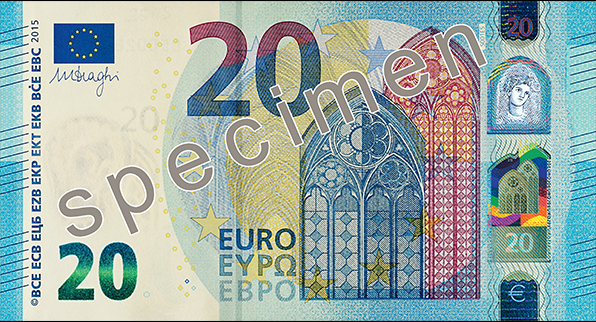 The Eurosystem started issuing the new 20 Euro banknote on 25 November 2015. 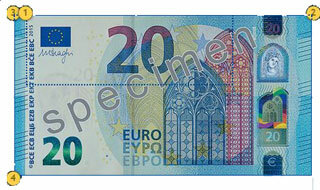 The security thread is embedded in the new 20 Euro note paper. 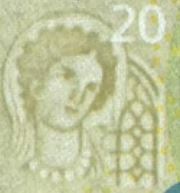 Look at the banknote against the light. The security thread appears as a dark line. The € symbol and the value of the banknote can be seen in tiny white lettering in that stripe. 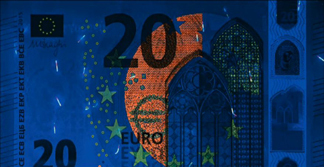 Tilt the banknote. 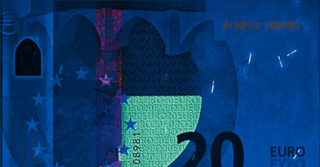 The hologram – the silvery stripe on the right of the note – reveals a portrait of Europa (a figure from Greek mythology) as well as the € symbol, the main image and the value of the banknote. 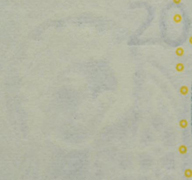 + Small fibres embedded in the paper appear. Each fibre shows three different colours.